A Pick Your Own Fruit Farm located in Naples, New York. We feature Grapes, Summer Red Raspberries, Peas, & Pumpkins. Season Grape Season is now over. We are on Facebook. Click here and "Like" us! Grape Season has ended! Thank you all very much for an excellent season. We will post both here and on Facebook in late spring as picking season approaches. You can always check 1-800-UPICKIT for updated information! Want to know when our seasons are? Check the U-Pick Seasons and Prices link to the left. Information concerning large orders for picked grapes can be found there as well. As always, if you want more information on picking conditions just call 1-800-UPICKIT. If you haven't been to the farm before and don't know the area, be sure to check our new mapping options by going to Directions to the Farm. You can either enter where you're coming from and get Google directions, or use the new interactive map right on our site. Either way, you'll have no trouble finding us now! Enjoy roaming through our vineyard with your family selecting the choicest clusters of your favorite variety of grapes. 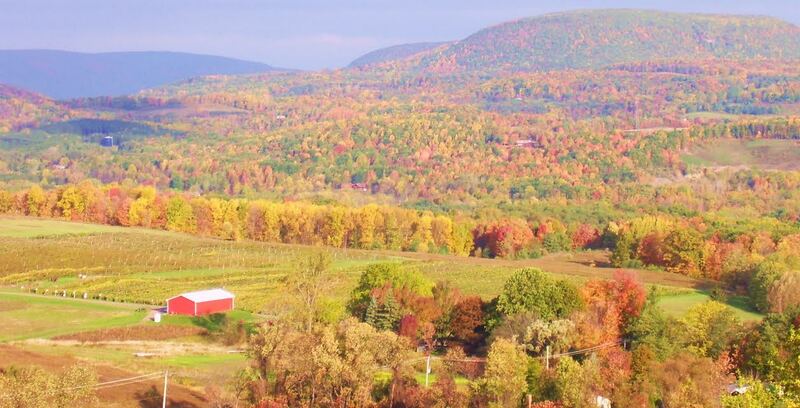 Savor the grape aroma as you overlook the beautiful Naples Valley with its surrounding hills of ever-changing fall foliage. A trip to Jerome's U-Pick makes a delightful and memorable jaunt for the young and old alike. All of our 20 varieties are available for "you-picking", depending only on ripemess and availablility. Keep in mind, not all varieties ripen at the same time. The season usually begins shortly after Labor Day and continues until the later part of October or until the harvest is complete. We ask that you bring shears (we have a limited quantity) but we do have containers available as well as wagons for your use. Baskets of grapes can be purchased at our retail stand. Larger quantities can be picked for you on order if you prefer. 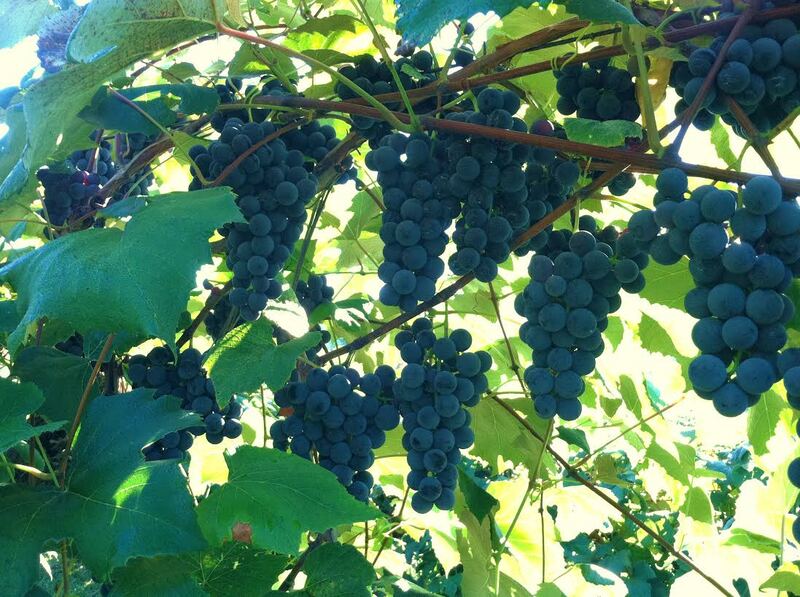 Our grape season hours are 9 am to 6 pm daily. Jerome's U-Pick became part of our 8-generation "Century Farm" operation in 1958, as one of the first "pick your own" farms in the area, trying to give people quality fruit at a reasonable price. Our policy has always been to give the customers the best we have - not the leftovers after the commercial harvest. We are located at 8936 Route 53, which is 2 miles south of Naples, New York. For current weather conditions at the farm, be sure to check the Weather Widget on to the right of this text. If you want to check on what's available for picking please call 1-800-UPICKIT. We're looking forward to seeing you!